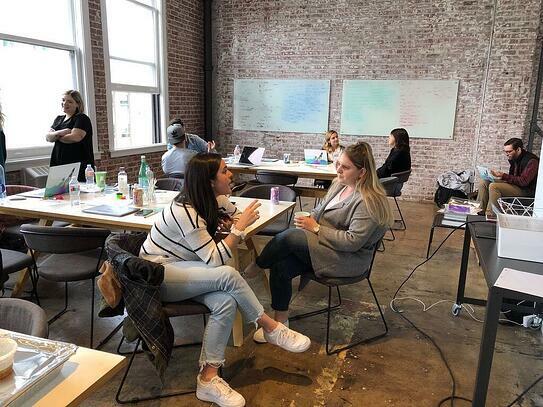 As a bicoastal marketing team, we’re committed to keeping in touch over Zoom and Slack, but whenever we can get together in person, we jump at the chance. 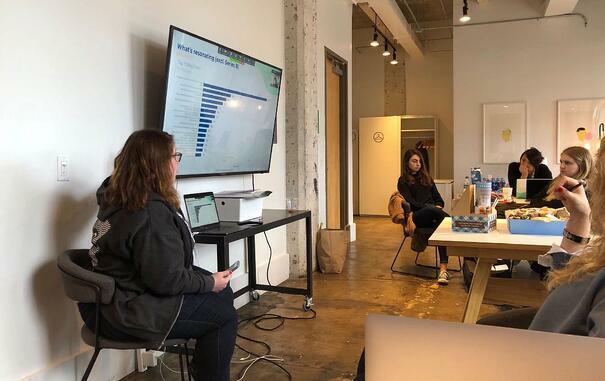 Various members of our team pop back and forth between our Philadelphia headquarters and our second office in San Francisco throughout the year, but our entire marketing team only gets together once or twice a year (if we’re lucky) during SKO. However, SKO (sales kickoff) is a time for cross-organizational bonding, not just individual team bonding. Between org-wide activities, town halls, and keeping up with our actual work, it’s hard to spend dedicated time together as a team. To give our team the face time we need and deserve, we planned a marketing offsite in San Francisco. The reason we chose SF over our hometown of Philly was two-fold (well, three-fold if you count making the rest of the Philly folks jealous 😏). SF is our smaller office, which means that the team out there doesn’t always get to experience the same sense of community as being in HQ, so it was nice to have a bigger Guru presence in that city. Secondly, the SF teammates already make the trip out to Philly for SKO, so we wanted to return the cross-country-traveling favor. Over the past nine months, our team has grown from only a handful of members to a specialized marketing machine 16 members strong. Despite interfacing online on a regular basis, some of us met face-to-face for the first time at our offsite. To embrace this growth and help us make meaningful connections with each other, we went through two exercises to get better acquainted. The first was a round of “speed dating.” We spent the better part of an afternoon rotating around the room chatting with teammates for a few minutes at a time. There were no prompts and no expectations that we’d talk about anything work-related. The goal was to get to know each other on a more personal level. We learned about each others’ side hustles, siblings, horrific first date stories, and more. The second was a round of presentations from each of us in which we defined our roles in our own words, discussed our goals, heralded our strengths, and admitted our weaknesses. You may think you have a handle on exactly what each of your teammates do, but try hearing it from their POV; it might make a difference. We all move so quickly to get our work done that sometimes we lose sight of the goals and priorities of our teammates, so it was refreshing to walk through everyone's roles. This might be a no-brainer, but we had some of our best conversations over tacos, sushi, and In-N-Out. Our SF-based teammates planned thoughtful experiences for every meal, including a walking food tour of the ultra-hip Mission District. We ate the best fries some of us have ever had (shout out to the Senor Sisig food truck – seriously, if you’re lucky enough to be in the Bay Area, go eat their Sisig fries with pork right now), had some of our first mezcal and Old Fashioned experiences, and ate excessive amounts of chocolate between sessions. The way to unite a bicoastal team at heart is through the stomach. A SWOT analysis is a great way to find alignment within a team. For those not familiar, SWOT stands for strengths, weaknesses, opportunities, and threats. We reflected independently on each of these categories, both for our marketing team and for Guru as a whole, then came together to write common themes up on a whiteboard. A lot of our thoughts overlapped, which tells us where we are doing things well and where we have clear room for improvement. We also heard insightful points from individuals that hadn’t occurred to the group at large. Given our diverse backgrounds and areas of expertise, it was really interesting to hear what different team members viewed as our collective opportunities. We did include “Wes’s dad jokes” as a weakness, but that just shows that our core value of “We don’t take ourselves too seriously” is a strength of our team. 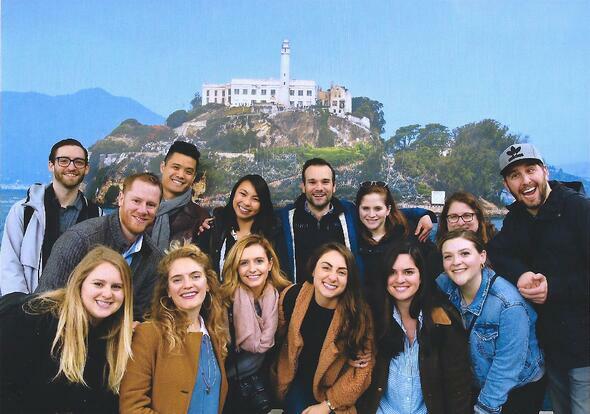 Because we were in San Francisco, we chose The Rock (no, not Dwayne Johnson) for our team activity: Alcatraz. Working in an activity after hours helps keep an offsite fun and interesting. At our SKOs in Philly we’ve gone bowling and axe throwing, so the bar was high for San Francisco. Alcatraz ended up being the perfect outing because most of us had never been, the guided tour was actually interesting, and #views. It would have been easy enough for us to try to check the ‘team bonding’ box by simply sending our East Coasters out to SF to work remotely for the week, but settling for relocation alone would have been a missed opportunity. The goal of this offsite wasn’t just to get us all under one roof; it was to strengthen our bonds as a team so we could work more effectively together. Instead of going through our same old Philly day-to-day in SF, we actually set our work aside to spend time on different endeavors. 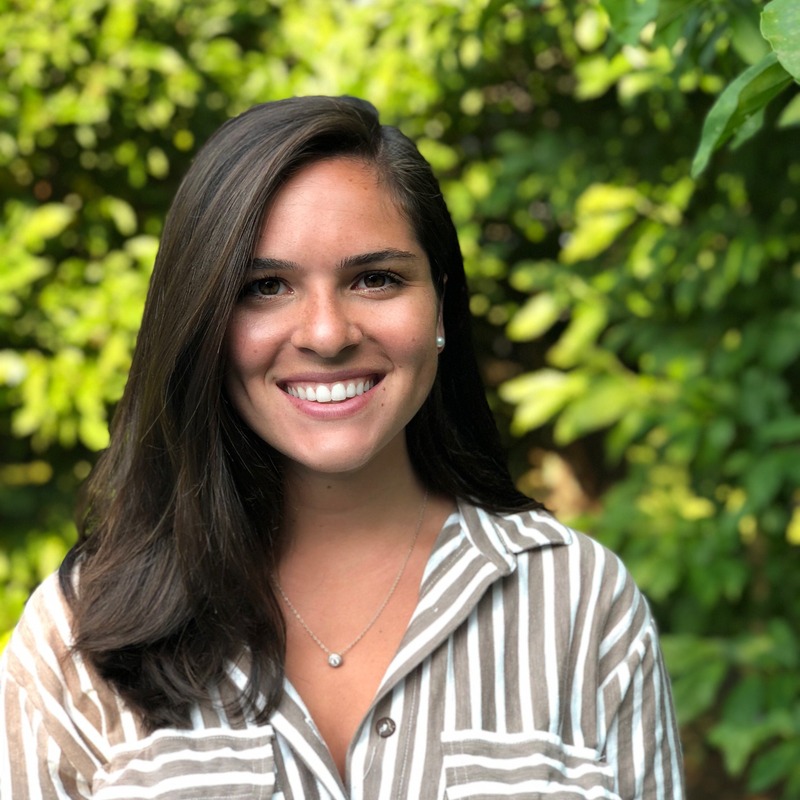 Those endeavors included the activities I’ve already mentioned, like getting to know each other and mapping out our SWOT, but they also included a deep dive into our content strategy and a dedicated planning session for our upcoming conference, Empower. These topics are things we touch on in our biweekly team meetings, if not more frequently, but we tend to only scratch the surface of each of them due to time constraints and busy schedules. Giving ourselves a dedicated hour to methodically go through our content and distribution strategy as well as the nitty gritty details of Empower was a great way to dive deeper into some of our biggest projects. If you’re going to go big and get the whole team together, be sure to have some higher-level activities planned to get the most out of your time. We also held our offsite at a neutral location, which helped reinforce the vibe that this was not a typical work week. Rather than disrupt the non-marketing team members in the SF office, we relocated our entire team to a private room in a co-working space. 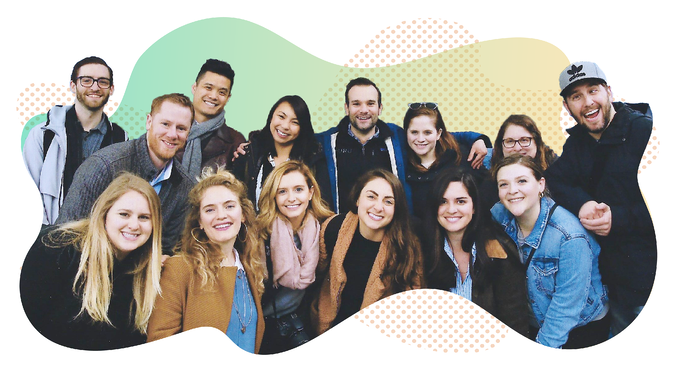 We really wanted this trip to feel like a retreat for every marketing team member, regardless of which office we typically sit in. In an ideal world, we would all sit directly next to our teammates to facilitate connections and collaboration, but when Slack and Zoom is all you’ve got, in-person meetups are crucial to building better teams. How do you keep your team connected as you grow? Let us know by tweeting at @Guru_HQ.